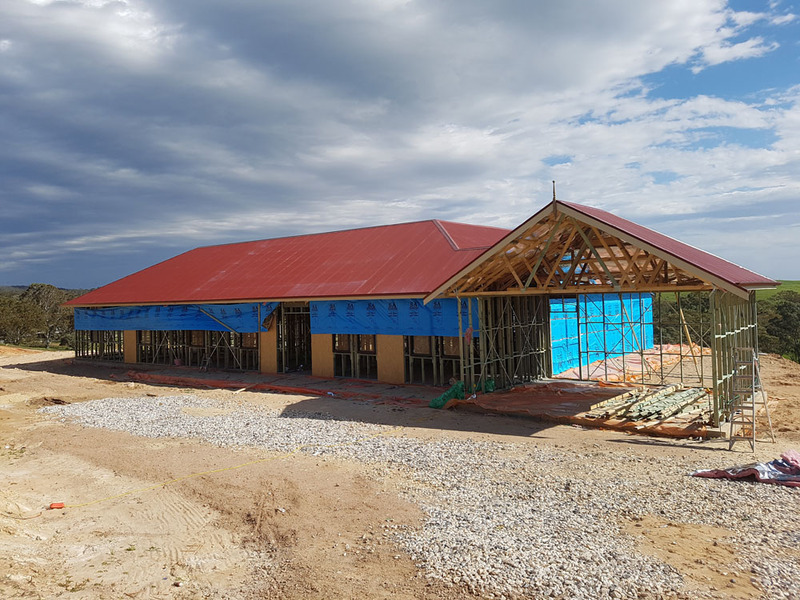 In part one we talked about the benefits of COLORBOND® versus tile roofing and so far COLORBOND® is coming out on top for versatility, endurance and innovation. So where does it shape up in respect of cost, installation difficulties and property values? Quotes from qualified installers of both COLORBOND® steel and roof tilers are the only way to decide on whether the cost is advantageous or not. Generally installation of either material is around the same cost, however over time and when the life span is taken into account, COLORBOND® comes out on top here. With lower ongoing maintenance costs, better storm damage and insulations solutions and potential insurance savings, the initial cost to install looks a lot more encouraging. As part of the installation, you could also look to have other long term cost saving measures installed like solar panels which over time will save you more money, reducing the overall cost of installation significantly, if the life span of the products is taken into account. As discussed in part one, installing COLORBOND® is much easier for qualified trades people as its lightweight, and cut to length attributes make installing COLORBOND® over large areas quick and simple. In contrast, tiles are heavy and cumbersome, increasing your costs and the time it takes to install costing you more in labour. COLORBOND® is a robust material, so having trades people walk on it after installation is not going to damage it, where as tiles tend to be more fragile. Each and every roof must be installed in accordance with Australian Building Codes, in addition, no matter what material you are using, you should ensure the roof is installed by manufacturer certified installers according to the manufacturer’s instructions. Not only does this prolong the life of your roof, it also maintains the warranty. Over the years, and as COLORBOND® strengthens their product and continues to improve and create superior roofing products, they have cemented their position as the most popular material available in Australia. Today it is more of a question as to which colour COLORBOND® you want, rather than which roofing product do you want to use on your home. With a high desirability placed on COLORBOND® products by homebuyers one hypothesise that a COLORBOND® will have a positive impact on your home value. Whilst personal preference will always play a part in the property value, COLORBOND® does have a positive effect on the value in most cases. Choosing the right COLORBOND® product depends on the location of your home. Due to salt spray and coastal winds causing corrosion in metal products, if you are in a costal area the COLORBOND® Ultra steel or stainless steel ranges might be best for your home. Otherwise, your choices are endless and once you have chose your product you can choose from the dozens of colour palletes, just make sure any council heritage regulations are observed. One final point, if you are installing a COLORBOND® roof on your home, make sure the contractor who installs the panels is certified by the manufacturer or your warranty on the product may be void. COLORBOND® should always be installed according to the manufacturers instructions for optimal protection from the environment and damage. Sometimes a roof cannot be restored, and your money would be better used replacing the COLORBOND® roof on your home. GT Roofing Adelaide specialises in roofing restoration, replacements, repairs and extensions and works with COLORBOND® Steel and BlueScope Steel throughout the Adelaide area and across South Australia. For an obligation free chat, please call George on 0434 640 550 or complete our contact form and we will get in touch shortly.